There’s a phrase in Hungary which is spelt ‘nem jó’, pronounced ‘nem yo’ and means ‘no good’. 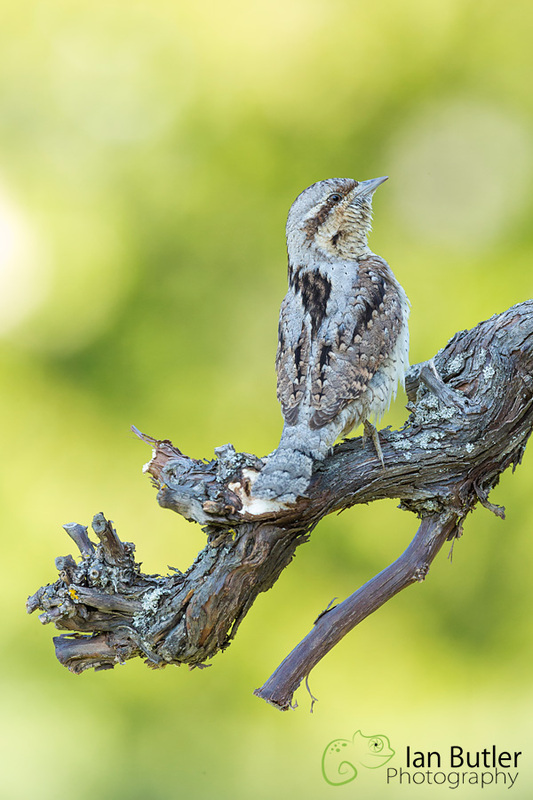 In this recent trip to Hungary I was it a lot when asked how the wryneck photography was going. I have never been so frustrated in all my photography years. Wryneck in the UK are a regular passage migrant but you have to be very lucky to find one. With one or two breeding every few years in the UK, they are all but extinct as a UK breeder and are highly protected when they do so photography is out of the question. To hear the news that a wryneck was nesting in the garden of where I was staying in Hungary you can imagine how excited I was. My imagination was running wild with all sorts of images I was going to achieve of this very elusive species. To cut a 7 day story short, the image I had in my head didn’t materialise. What I wanted to achieve was the image below but in much better light. This particular photograph was taken at 10.22, 5 hours after sunrise. The background light hitting a distant tree is extremely harsh even though the bird itself was shaded by a large vertical stump of the tree where the nest box was. The balance between bird and background was just too much. Had it had been overcast it may have worked better. I planned another 4 sessions in the morning and late afternoon but this male didn’t want to play fairly. I ended up getting on the plane with no images of this species in great light which should have been fairly easy given the circumstances. It has certainly been a learning curve and one that has left me inspired, although extremely frustrated at the time. Patience was certainly a virtue. Although I didn’t get the image I had planned it was fantastic to see such a beautiful bird every day and I’m glad that I achieved this image to show you all. Canon 5D Mk3 with Canon 500mm f/4 L IS lens, 1/400s, f10, ISO1600, on remote setup (hence the ISO1600).